People don’t really understand that there are many different factors that fall into place when determining where a website ranks in the Google search engine results. Some things to keep in mind when you are wondering why your site doesn’t rank well. It is not always just the obvious reasons that are holding it back. Over the past years by reading Google’s Webmaster Guidelines, Google SEO Starter Guide, many other industry blogs and by actually doing professional SEO and internet marketing since the late 1990’s, I have gathered data and come to a boiled down short list of the most important Google search engine ranking factors. 1. Age of Domain: Age of URL is very important. If you just bought your domain a few weeks or even months ago you have a long road ahead of you. The reality is the age of your website helps build trust. If your website has been online for several years, chances are you have an established business. 2. Domain Hosting: Where is your site hosted? Find out through your hosting company what continent or country your site is hosted in. This can often times play a large role in search rankings. Always use a reputable hosting company. If your company is US based then use a hosting company in the United States. Also, I always recommend a dedicated IP when you can. There are virtual dedicated and cloud hosting solutions that are more affordable. Never use the cheapest hosting. The reality is, if you cannot afford hosting you should re-consider the business…I know this is harsh but very true. 3. Your Neighbors: If you have a virtual server, which sites like Godaddy usually are have been known to house hundreds of websites on one server. Make sure that your neighbors on your server are not classified as spam. 4. URL Structure: Make sure your URL structures are very clean. There should not be any random strings of characters at the end of your URL’s. This is part of the onsite search engine optimization process as well. 5. Content: Content is very important. To start make sure you have text on all your important pages, then make sure it is good text consisting of your targeted keywords spread throughout naturally. Simply put, ALWAYS write your content for humans, your website visitors first and NEVER write content for the solo purpose to achieve Google search engine rankings. Chances are the content will not be user focused or provide value to your visitors. 7. Trust: Do you at least have a mailing address listed on your website? You should if you don’t. Google likes to see trust factors on websites so anything you can add that could help build trust for your audience will benefit your rankings. I always recommend having a phone number on each page of your website. Make it easy for people to do business with you, it all starts with establishing trust and that starts with contact information on your website. 8. Keywords: Make sure your website is optimized using your keywords. This means any alt tags for images, meta page information and existing content at the very least of things. Remember to naturally optimize your website based on the content of each page of your website. 9. Bounce Rate: Although bounce rate might not seem important if Google sees that nobody hangs out on your website for more than a few seconds before they leave this could be a ranking problem over time. Make changes to get visitors engaged with your website. Simple things, like video, newsletter sign up, call to actions, etc will help improve your bounce rate over time. Make sure you have proper tracking on your website, such as Google analytics. 10. 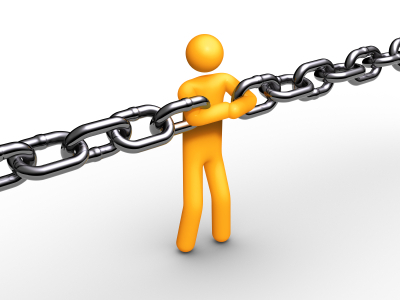 Outbound links: Make sure the websites that you link to are 100% relevant to your business and industry. If you sell animals toys but you are linking to a site that sells shoes that is not very relevant and over time could really impact your rankings. Bottom line is if it makes sense to link to another site, then do so, but remember you could be sending your visitors away from your site. 11. Inbound Links: I know this was a list of my top 10, but I felt I had to mention inbound links. The key here (speaking as a white hat SEO person), don’t buy or exchange links. 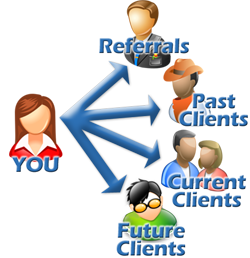 Market and promote your business online to build visitors to your website over time. If you do, then the relevant links will follow! **Note: As the Google (and yes there are 2 other major search engines!) algorithm changes there are always new ranking factors that come into play, such as the page load time and many others. I am sure when I re-do this list a year from now, there may be another one or two additional factors. There are many extensive factors that Google uses when determining website rankings. Very important to get these factors correct otherwise you could find yourself just spinning your wheels. The bottom line is it is all about relevancy and earning your visitors (and yes Google’s) search engine trust over time.